With St Patrick’s Day coming up we are celebrating all things green! So many green foods are rich in key vitamins, minerals and essential nutrients. 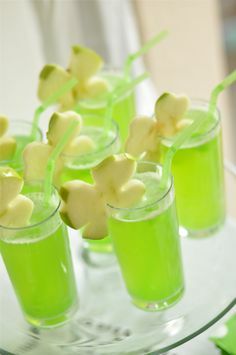 Having a green themed menu for Paddy’s Day also makes a perfect excuse to encourage fussy toddlers or children to get eating their greens! Here are my top 5 St Patrick’s Day recipes to include on the menu this weekend. Hummus is a great snack at any stage – pregnancy, baby or toddler. It is high in iron for brain development and dipping veg sticks is a great way to develop hand-eye coordination. 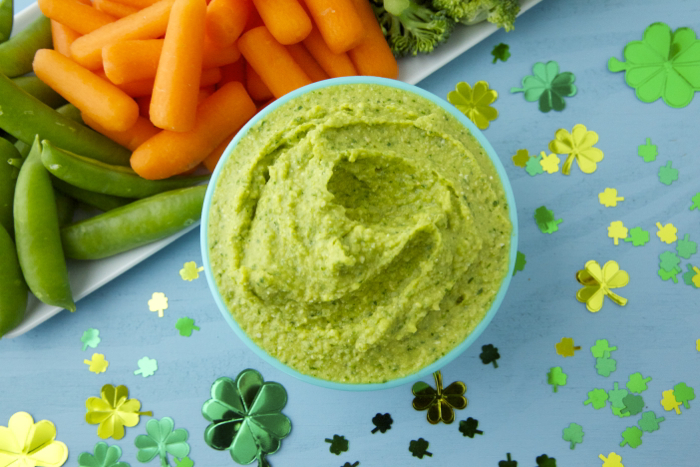 For St. Patricks’ Day Hummus follow this simple recipe but before blending add in a handful of chopped fresh spinach leaves for green hummus and serve with orange and white veg to complete the flag! Avocados are a green superfood! They are filled with healthy fats and fibre. Guacamole is delicious served with some pitta bread wedges for dipping. For another easy avocado baby recipe have a look here. Spoon out the avocado flesh, and place into a small bowl. Mash the avocado, and add the yoghurt, tomato, spring onion, coriander and chilli (if using). Squeeze over the lime juice and add some freshly ground black pepper to taste. Looking for a fun way to get some more fruit into your toddler’s diet? Try a tasty green shake. All you need to do is combine 150ml of Growing Up milk (or your toddler’s usual milk) in a blender with a peeled and chopped kiwi and 1-2 tablespoons of natural yoghurt for a creamy festive milkshake. 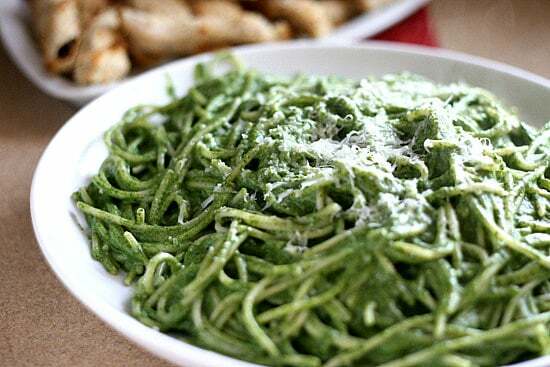 This green pasta dish makes a great lunch for all the family to warm you up after the parade! Cook the pasta following pack instructions. Meanwhile, boil the kettle, put the spinach and peas in a bowl, and cover with boiling water. Leave for about 3 mins until the peas are tender then drain well. Tip the veg into a food processor or blender, add the basil, pesto, yoghurt and Parmesan, and blend to make a smooth sauce. Drain the pasta and return to the pan. Pour over the sauce and return to a low heat to cook for a few mins, until the sauce clings to the pasta. Add a little water if it looks too dry. Healthy juices make a great pregnancy snack. They can also be a great way of disguising veg for fussy eaters! Try this tasty green veg and golden pineapple juice recipe. Combine all ingredients together in blender or food processor.